The Millennium Challenge Account-Jordan (MCA-Jordan), responsible for implementing a $275 million Compact financed by the US Government’s Millennium Challenge Corporation (MCC), has announced the results of the first round of surveys that covered a sample of 3500 households and 350 enterprises in Amman and Zarqa Governorates. The survey’s results, which focused on the households’ demographics and other factors, found that the percentage of citizens in the covered areas using water bought from shops instead of network water reached 37% of the population. Moreover, the results showed that nearly three in ten households in Zarqa are obliged to consume less than the minimum amount of water considered essential for personal hygiene and food safety. Also, the study found out that the network water is better than bottled water as a healthier daily intake. The findings of the survey comprise an opportunity for MCC funded projects to pave the way for costs’ savings and poverty reduction among the population as a result of implementing the integrated water and wastewater networks in Zarqa Governorate. These projects will not only provide cleaner water, but will also increase the hours of water supply from an average of 36 hours to 72 and reduce the loss in non-revenue water, leading to less dependence on alternative and expensive sources of water and healthier environments. 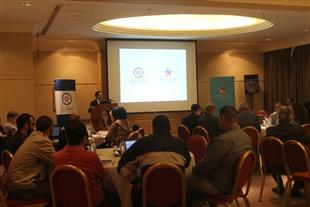 MCA-Jordan Deputy CEO Project Management Eng. Nazeer Abu Arqoub said monitoring and evaluation of MCC funded Compact interventions is the cornerstone for MCA-Jordan’s operations and will continue beyond the days of the Compact as part of sustainability. “Impact evaluation is mandatory for any development to see if targets are met and implementation is progressing on schedule and how that affects Compact’s beneficiaries,” he added. Abu Arqoub added “The Compact’s projects are considered one of the largest water and sanitation interventions in the history of the Kingdom.” Currently under construction are nearly 800 km of drinking water pipes that supply Zarqa and Russeifa along with 50,000 new water meters and a new pump station and reservoir in Basateen area. In the same Governorate, nearly 300 km of new sewage lines are under construction, soon to dramatically reduce sewage overflows into city streets and increase collection of wastewater for water treatment and recycling. 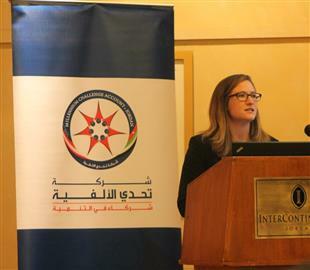 For her part, MCC Monitoring and Evaluation Associate Director Hana Freymiller said that the cooperation in developing assessments with the Department of Statistics (DoS) has resulted in comprehensive work plans between MCA-Jordan and the governmental body that manage Compact works. Also, the collaboration have provided DoS with capacity building as well technological support such as the tablets for data collection that DoS staff received to conduct the surveys. 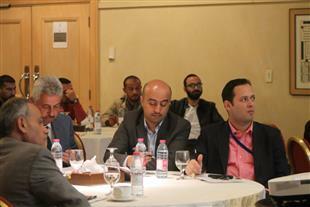 Attending the event where the results were announced were representatives from Ministry of Water and Irrigation /Water Authority of Jordan, DoS, Miyahuna-Zarqa, Jordan Valley Authority, representatives from USAID and MCA-Jordan consultants.